ReadWriteWeb published today the top apps for the iPhone, iPad, Android, Blackberry, Palm, Nokia & Windows Phone for the third quarter of 2010 (July 1 - September 30). When it comes to free apps, iBooks for the iPad was the top contender. 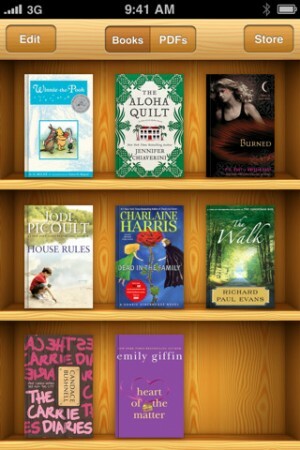 iBooks is Apple's e-reader platform, and includes a number of free books with the free app. Other free popular apps were Type n' Talk for the iPhone, Blackberry Messenger, Pandora Radio for the Google Android, and ZumZum (a game) for Nokia. What did people pay for? The Pages app (word processing) for the iPad, which makes the device more than just a media-consumption tool. Other cash-worthy apps were BeBuzz (colorful LED and audible reminders), ToonWarz (a game for Nokia), and mCraig (mobile Craigslist browser for Palm). It comes as no surprise to me that the iTunes app store for iPhone had the most number of games among its top 100 apps, and that "games are least popular on Blackberry (12.5% free, 28% paid) and Palm devices (33% free, 16% paid)." The iPhone's gorgeous interface and slick graphics make it an enticing game tool. And perhaps too distracting for work.